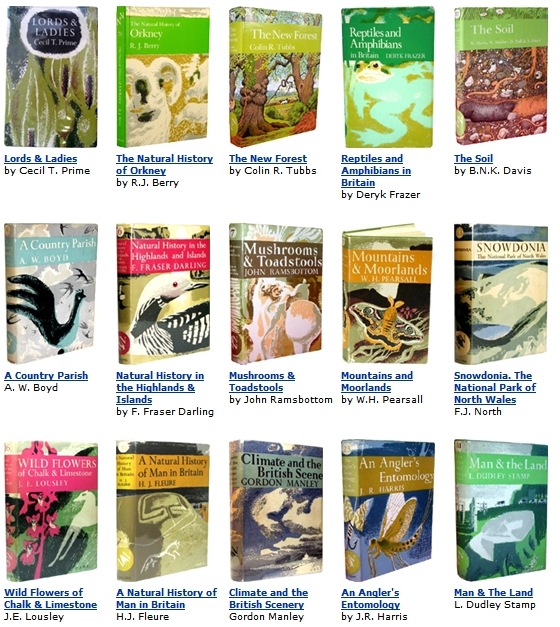 The New Naturalist books are a series published by Collins on a variety of natural history topics relevant to the British Isles. It is the longest-running and arguably the most influential natural history series in the world with more than 100 volumes published over almost 70 years. 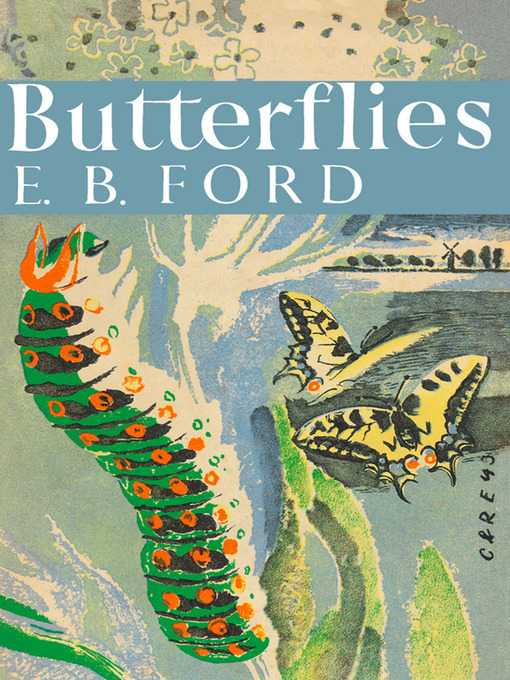 The first to appear was E B Ford’s Butterflies in 1945. The authors of the series are usually eminent experts, often professional scientists, giving the series authority. The books are written in scientific style, but are intended to be readable by the non-specialist, and are an early example of popular science in the media. Being a numbered series, with a very low print run for some volumes, they are highly collectable. Second-hand copies of the rarer volumes, in very good condition, can command high prices. There is a New Naturalist Collectors Club, which publishes three or four newsletters each year. The dust jacket illustrations are stunning and have a distinctive style. Until 1985, the illustrations were done by Clifford and Rosemary Ellis. Since then Robert Gillmor has designed the dust jackets..
Volume 82, The New Naturalists, describes the series to date, with authors’ biographies and a guide to collecting the books. A detailed history of the dust-jackets can be found in Art of the New Naturalists by Peter Marren, which was published by Collins in 2009. A full list of the 136 volumes that have been published to date can be found here.